Between 26 July 1873 and 3 November 1883 Black Bart. the pseudonym of Charles Earl Bolles (aka Charles Bolton aka Charles Boles) robbed 29 stagecoaches. John Shine drove the first stagecoach which was held up at Funk Hill on the Sonora—Milon Road, 6 km (4 mi) east of Copperopolis. 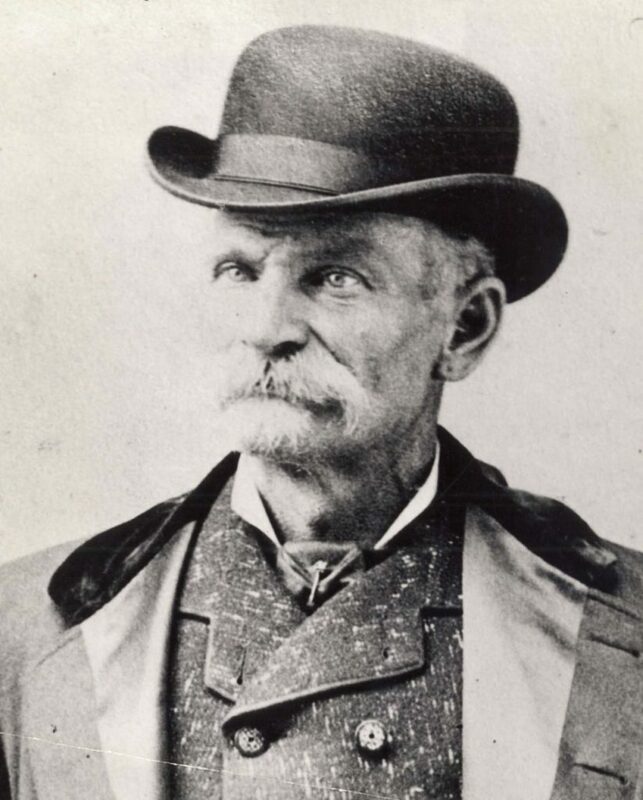 Black Bart, wearing a mask made from a linen duster and a flour sack, jumped out in the front of the coach, levelled a shotgun at Shine and politely requested, “Please throw down the box,” adding less politely, “if he dares to shoot, give him a volley, boys.” It was then that Shine noticed half a dozen rifles poking out of the brush. Bart took $60 in gold notes from the Wells Fargo express box and undetermined amount from the US Mail pouch. Shine drove off but soon returned to the scene to find that the six “rifle barrels” were just blackened sticks of wood. For eight years the mysterious and polite Black Bart plagued Wells Fargo coaches using an unloaded shotgun, always on foot, and making a point of never robbing either the driver or passengers of their personal money. Between robberies he lived the high life as a mine owner and San Francisco dandy. His 29th and last robbery, on 3 November 1883, was at exactly the same place as his first but did not meet with the same success: he was wounded and later captured after Wells Fargo detectives James Hume and Henry Nicholson Morse identified a handkerchief Bart had dropped at the scene. When charged, he gave his name as T. Z. Spalding but his real name was found in a Bible given to him by his wife. The police report stated that Bart was “a person of great endurance. Exhibited genuine wit under most trying circumstances, and was extremely proper and polite in behaviour. Eschews profanity”. On 16 November 1883 he was sentenced to six years in San Quentin and “seemed rather pleased with the sentence”. He became a model prisoner and was released in January 1888. Asked by reporters if he was going back to his bad ways, he said, “No, gentlemen, I’m through with crime.” In February 1888 he checked out of his San Francisco boarding house and was never seen again.